The Musee des Beaux-Arts de la Ville de Paris, basically translates to the Museum of Fine Arts of the City of Paris, yet is also often referred to as the Musee Petit Palais Museum. And when you look back at the history of the Petit Palais and the building itself, you will find that the fine arts museum officially opened as a permanent museum in Paris in 1902, which had been greatly enhanced by the Dutuit brothers. In fact, a cupola is named after the brothers, as they had donated over 20,000 different works of art that included antiquities, drawings, etchings, 17th century Dutch and Flemish paintings, manuscripts and books from the 15th to 17th century, ancient Greek and Roman works, artefacts from the Middle Ages and the Renaissance, along with an almost complete collection by Rembrandt. 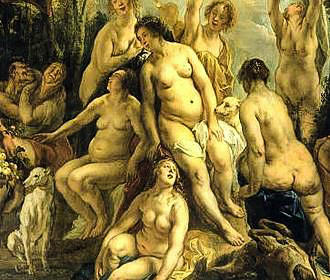 Also there was another substantial donation by Edward Tuck of older works of art, which were eventually put on display at the Musee des Beaux-Arts de la Ville de Paris in 1930 and these included items like jewellery, enamels, tapestries, tableware, furniture, sculptures and paintings. 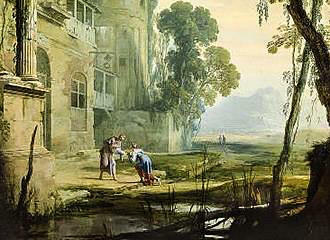 In addition to these, there have been many other donations over the years including a unique collection of art from eastern Christian churches that was donated by Roger Cabal, which makes the Petit Palais the holder of the largest collections of icons in France. 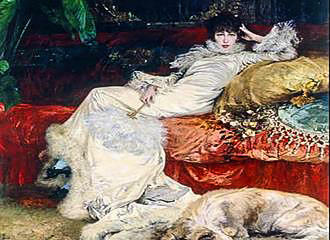 Within this incredible museum in Paris, you will discover the exhibits categorised into different themes such as the Petit Palais and its history, the Champs Elysees from the beginning to 1900, realist portraits, art during the reigns of King Louis XV and XVI, jewellery and precious metalwork, the sculptor Dalou, Claude Monet and landscape painting, Eugene Delacroix and Romantism, etc. But with the amount of works that the Musee Petit Palais holds, the permanent exhibitions are rotated regularly, so as to always provide something different for the visitor, and of course many of the works are also very fragile and cannot therefore be on permanent display. Yet through a major renovation project to restore the building to its former glory and provide additional spaces for exhibitions, which was only completed in 2005, the permanent exhibition area of the Petit Palais is now over 5,000 metres squared compared to 3,000 prior. You will also find that new spaces have been created such as a bookshop and gift shop, along with an auditorium for lectures, discussions, concerts, etc, which is accessible to the disabled and is located underneath the inner courtyard garden. Plus there is now a garden cafe at the Jardins des Champs Elysees Gardens location called the Le Jardin du Petit Palais Garden Cafe, which is in an idyllic situation to relax with a beverage or gourmet snack. 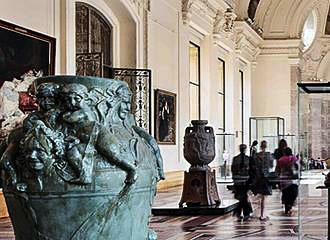 However, as well as the permanent exhibitions on the Avenue des Champs Elysees side of the building, on the other side you will now be able to discover larger and more impressive temporary exhibitions, with several being arranged each year, which means this is a fabulous museum and tourist attraction that you can visit while you are on holiday in Paris. The Petit Palais and the Musee des Beaux-Arts de la Ville de Paris is open on a Tuesday through to a Sunday from 10am to 6pm, yet is always closed on a Monday and on all national French holidays. There is also a late night opening for temporary exhibitions on a Thursday until 8pm, however, the ticket office closes at 5pm, as the last entry is one hour prior to the museum closing. 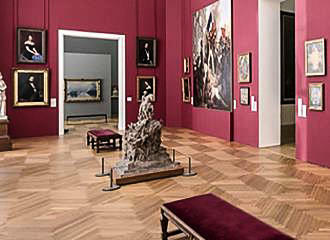 Because this is a city of Paris museum, you will be pleased to know that everyone can gain free entry to the permanent collections on display, however, there is a charge for temporary exhibitions and this varies in price depending on what it is. 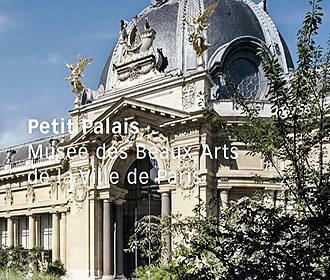 You may also be pleased to know that there is disabled access throughout the museum along with disabled toilets and a lift, plus the Jardin du Petit Palais Garden Cafe, which runs a continuous service from 10am through to 5.15pm on the days the museum is open, is also accessible to the disabled. There are detailed guide sheets for reference to the permanent collections in each gallery, however, there are also two different tour booklets available for children. At a cost of €1 each, one tour booklet is a puzzle trail designed around the collection for children aged 4 to 6, and the other is designed as a fun way of looking at the architecture of the Petit Palais for 7 to 12 year olds. However, audio guides designed for adults are also available, that provide a comprehensive guide to the permanent collections, and for a rental charge of €5, these are available in French, English, Spanish, German and Italian. Lectures, etc are accessible to all within the auditorium, although spaces are limited, and there are only five spaces designated to wheelchair users, however, there is a wide variety of different events organised such as lectures. But there are also group and individual activities organised throughout the year on a Tuesday through to Friday from 10am to midday and from 2pm to 4pm, yet there is a charge for these on top of the exhibition admission charge, and to find out more or to book, you would need to telephone +33 (0) 1 53 43 40 36. When it comes to the location, well this is a very easy place to get to, as it is located by the famous Avenue des Champs Elysees and backs on to the Jardins des Champs Elysees with its beautiful fountains, and is right by the Grand Palais that was also constructed at the same time as the Petit Palais for the 1900 World Fair in Paris. The Musee Petit Palais, or Musee des Beaux-Arts de la Ville de Paris, is situated in the 8th Arrondissement close to the Place de la Concorde with the nearest Metro station being the Champs-Elysees - Clemenceau stop on lines 1 or 13. In the opposite direction you have the Place Charles de Gaulle with the incredible monument in Paris called the Arc de Triomphe, and it is here at the Charles de Gaulle - Etoile stop you would disembark from line A if you are travelling on the RER. Yet the other RER station nearby is the Invalides stop on line C, which is also within walking distance and where you can discover Les Invalides and the Tomb of Napoleon Bonaparte I. However, if you are travelling via bus you would need one of the numbers 28, 42, 72, 83 and 93, but the bus tours in Paris such as l’Open Tour will also get you within easy reach of the Petit Palais. 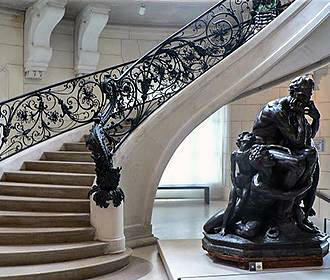 The Musee des Beaux-Arts de la Ville de Paris is a fine arts museum in Paris, yet is often just known as the Musee Petit Palais, and opened in 1902, it is located in the beautiful Petit Palais building that was constructed for the 1900 World Fair. The Petit Palais is an impressive tourist attraction in Paris that is home to a very vast amount of different artefacts, many of which have been donated by collectors, and you will be able to discover a wide variety of different art works, such as paintings and etchings through to sculptures, plus furniture and vases through to antiquities, artefacts and objet d’art.